To protect your car from the volatile weather of winter, it’s a good idea to put it in storage. However, it’s not as easy as just parking it in a garage, covering it, locking the door, and walking away until April. At our used car dealership serving NY, we have some tips to help you get the most out of storing your car for the winter. First of all, don’t store a dirty car. This may seem simple, but before you leave it for the winter, your vehicle must be thoroughly detailed. Even if it doesn’t seem “dirty” per se, it will need some level of care in places you may not have considered. Apply a protective coating to unpainted metal parts of your used car (avoiding any areas of the car that get very hot, as spray-on coating is very flammable), as they can be prone to rusting, especially during a wet New York winter. If you decide to steam clean the interior, do so a healthy amount of time before storage to avoid mold or mildew buildup, and then place a few packages of desiccant on the floor of your vehicle to keep moisture out for the season. Tires, fluids, and power sources- these are all things troubled by cold, even on cars that are driven all year. Special attention must be paid to these components when it’s time to put your vehicle away for the winter. For example, overinflate the tires (without exceeding the maximum air pressure) because the tires will deflate over the course of the winter. Add fuel stabilizer to keep the gas in your tank in premium condition, as normal fuel has a shelf life of around three months. Remove and store your car battery to make sure it runs reliably when it’s finally time to get back behind the wheel. Make sure you do your research to ensure all the proper steps are taken to preserve your vehicle before you store it for the winter. If you want to get one last tuneup before it’s time to pack it up, contact us to schedule a service appointment! Are you clear on your winter windshield maintenance? Winter driving can be hazardous enough without having to worry about not being able to see. 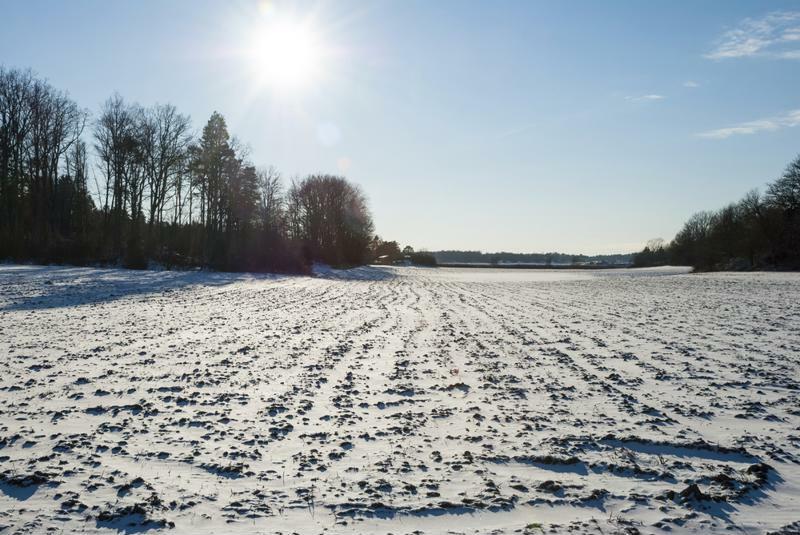 You can't control ice, snow and other winter precipitation, but you can at least ensure that if you do encounter adverse weather conditions, you're prepared to deal with them safely. Your windshield performs an essential function during periods of winter driving. It keeps you warm and dry, but it's also a key part of road safety. Without clear visibility, driving in snow, sleet or ice becomes much more dangerous. But if you haven't given much thought to maintaining your windshield, you're not alone. 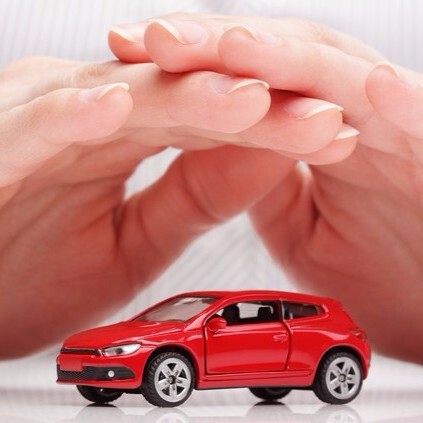 It's a part of car ownership that many don't think about until a problem arises. This winter, head off potential problems by keeping your windshield clean and well maintained. Make sure your wiper blades are changed regularly and the arms are kept clear of debris. Windshield wipers are of arguable utility when ice and heavy snow are common, but they're still an important safety feature and you should keep them running as smoothly as possible. Winter can be a particularly challenging time for windshield wipers. Not only does ice that builds up on your windshield strain the capabilities of your wipers, but snow and other winter precipitation can pile on top of the wipers themselves, creating maintenance issues if you don't pay attention. Keep the wipers operating for as long as possible by cleaning any snow or ice off of your windshield. It's not enough to clear the windshield enough for basic visibility – you want to make sure the wiper arms themselves can move freely without being obstructed or weighed down by precipitation. In terms of the blades, you'll want to change them every year or couple thousand miles, and there are some telltale signs that your blades need changing. If your wipers streak, squeak or skip, these are all signs that the blades have worn down too much to be useful and you need new ones. Even if the blades are in good condition, inspect the wiper arms regularly for signs of damage. Corrosion of the plastic or broken joints are both reasons to have your wiper arms replaced as soon as you can. Also worth noting: The rubber on your wiper blades can freeze in extreme temperatures, hardening it and making it less effective. Check your wipers on cold days to ensure the rubber is still soft and pliable. "If you don't swap out your fluid, there's a chance that it can actually freeze in your tank." You probably don't spend too much time thinking about your windshield wiper fluid, but it's important to pay particular attention to this component in the winter. Snow, ice and salt can all wreak havoc on your visibility, especially if allowed to freeze overnight or sit on your windshield for days on end. One important thing to note is that depending on which part of the country you live in, you may actually need to change your washer fluid when winter hits. According to Autybytel, summertime washer fluid tends to contain a much lower alcohol concentration than those fluids that are designed for winter use. As a result, if you don't swap out your fluid for a winter-approved variety, there's a much higher chance that it can actually freeze in your tank, at best rendering it useless and at worst creating additional maintenance problems. It goes without saying that you shouldn't have any cracks, dings, divots or other nuisance damage spots in your windshield. Not only can these small imperfections compromise the integrity of the windshield itself, but cracks can cause their own visibility problems. The beginning of winter is a good time for an overall maintenance overhaul to your car, and you should include the windshield in this endeavor. Once you've repaired any cracks or dings, focus your attention on ensuring the windshield stays clean. Water and salt can lead to a buildup of residue that can make it hard to see through the glass. If your washer fluid is designed for winter use, you can count on your wipers to keep the outside of your windshield clean, but don't forget about the inside. Regularly wipe down the interior or your windshield with streak-free glass cleaner and a microfiber cloth. Your wipers can keep the glass clean, but they won't remove any physical obstructions. Leaves, twigs and other seasonal detritus can accumulate at the base of your windshield. If left unchecked, they can obstruct the path of your wipers, causing them to break down. Leaves and twigs can also block the airflow into your engine, creating larger maintenance problems down the road as well. If you're in the market for a quality pre-owned vehicle, head to NJ State Auto Auction. With hundreds of Carfax-certified cars on the lot and a qualified and helpful in-house finance department, you can be confident you'll drive away in the right car for you. 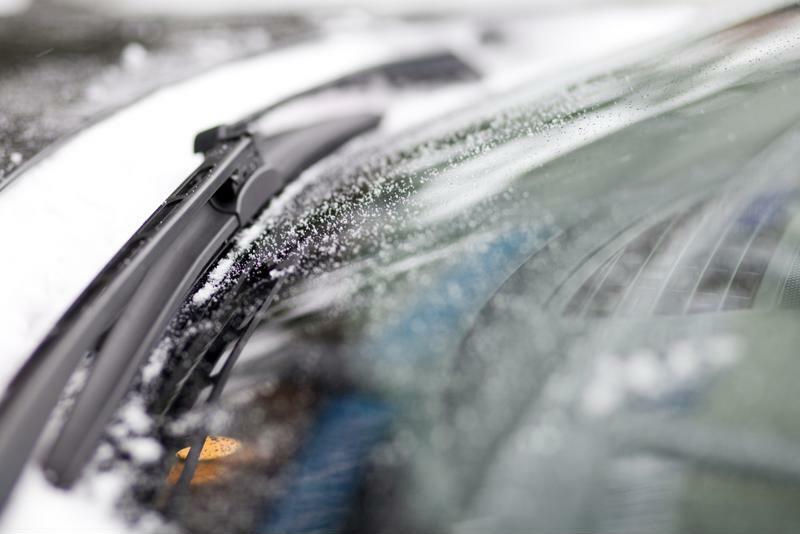 Posted in General Auto News | Comments Off on Are you clear on your winter windshield maintenance? Before you can treat yourself to a brand new ride or make good on your intention to buy a sensible, reliable vehicle that fits you needs, you first have to sell the car you currently have. Even if it seems like a triviality, you shouldn't approach this step lightly. After all, failing to sell your existing car in a reasonable amount of time – or for the price you were hoping for or expecting – can seriously hamper your plans to buy a new vehicle. Keep in mind that you'll need to put as much work into selling your car as you will shopping for and buying the next one. Regardless of whether you choose to sell it independently or attempt to trade it in through a dealer, you'll need to consider many factors – financial, automotive and otherwise – if you want the best result. Don't expect to sell a convertible quickly if it looks like this outside. You may not think of cars as a seasonal item, but the reality is that they are. At the very least, the time of year you choose to sell your car may impact the response that you get. For example, according to Edmunds, convertibles and sports cars are purchased almost exclusively during the spring and summer – you can imagine how hard it would be to sell an open-topped car when the temperature outside is below freezing. While it's true that listing your car online can potentially attract a much larger number of prospective buyers, the risk may not be worth the potential benefit. Kelley Blue Book noted that sellers who deal with out-of-state buyers run the risk of fraudulent activities, such as bad checks. In an ideal scenario, you should accompany your buyer to his or her bank and receive the cashier's check along with them. That way you can be completely assured that you'll receive the payment on time. This may be necessary in some cases, as some banks will want to visually appraise the car before authorizing the withdrawal. "You may not be advertising aggressively enough." 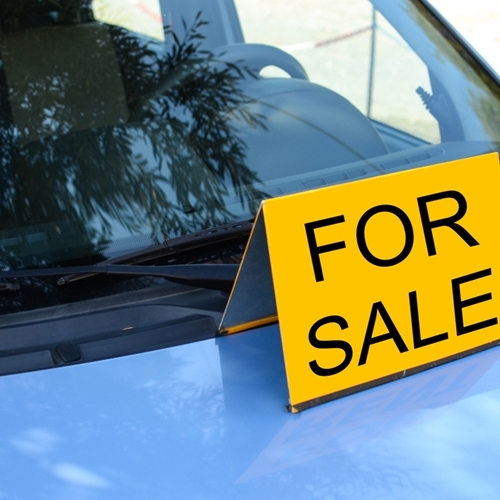 It stands to reason that if you want to sell your car, you need to make sure people know it's available to buy. Advertising your car can be tricky, especially if you aren't used to selling things independently. Fortunately, there are a number of websites and classifieds specifically geared toward people trying to sell things – and some that are just for those selling automobiles. Sites like Autotrader and Cars.com are popular boards that let you post your car for a small fee. Don't overlook more general avenues though, such as Craigslist and even eBay. If your car has been on the market for some time and you find you aren't getting the response you had hoped for, the problem may be that you aren't advertising aggressively enough. This is where selling through a dealer can be helpful, as they will take care of the whole process for you up front. If you have a used car you'd like to sell, or are shopping for a pre-owned vehicle of your own, head to NJ State Auto Auction. You'll find hundreds of Carfax-certified cars on the lot, and a helpful in-house finance department to help you get approved for a loan. Of all the safe winter driving tips you've heard, chances are the biggest one that you encounter most often is to swap your all-weather radials for snow tires. But if money is tight or you don't want to make a trip to your mechanic's garage, consider these basic facts on snow tires and why they're so important. Don't let the name fool you: All-weather tires aren't great in the snow. What makes snow tires different? You may have seen some people forego winter tires and instead just wrap their all-weather radials in chains. While this can help maintain traction, this measure isn't nearly as effective as a good set of winter tires. The two main conditions snow tires are designed to withstand are icy roads and extremely cold temperatures. They are made out of a softer rubber, which means that they can grip the road more easily. Another side effect of the softer rubber is that the tires don't freeze and harden as quickly as all-weather radials do. When the tire rubber hardens, it significantly compromises your traction. 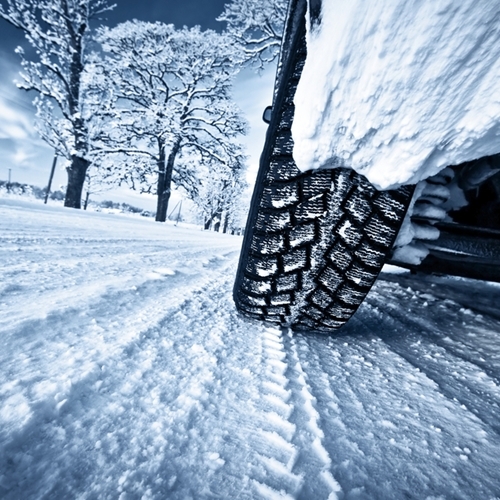 "But they're called 'all-weather' tires…"
One of the most common objections to snow tires is that they're unnecessary if you already have all-weather radials on your car. But despite the name, these standard-issue tires aren't the any-condition superstars they claim to be. In fact, according to Edmunds, all-weather radials are a jack-of-all-trades, master-of-none ordeal. They tend to work well in wet conditions, but they won't provide the level of safety you need in the snow and ice, or even the freezing cold. In fact, it's impossible for a tire to be truly "all-weather." 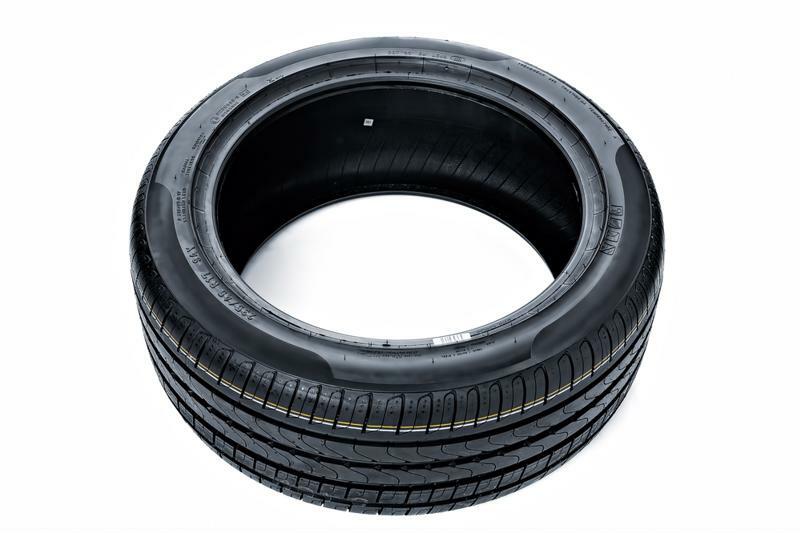 Outside temperatures cause the rubber in the tires to expand or contract, and can change the hardness and pliability of the tire. This is why tires that work great in summer aren't good for winter. "Traction assist systems aren't a replacement for proper tires." What about my traction assist system? Many newer cars are equipped with a tracking assist feature that can be activated from the dashboard by the push of a button. These systems are good additional safety measures, but they aren't a replacement for proper tires, especially in the winter. Most tracking assist systems work by electronically limiting the amount of power your car can exert on your tires, preventing you from turning too hard and losing traction. However, tracking assist does nothing to improve the grip of your tires themselves. Even with this modern safety feature, it's still possible to lose control of your car through hard turns. People who want to straddle the line between safety and frugality sometimes decide to buy two winter tires instead of a full set, under the assumption that the added traction on the front or rear wheels, depending on how your car's drive system works, can be similarly effective. Not only is this a misconception, it's incredibly dangerous. Having two snow tires and two all-weather radials on your car results in your front and rear axles experiencing different grips on the road, which can make it nearly impossible to control your car. If your rear tires are receiving the extra traction, you won't be able to steer nearly as effectively with the poorer traction on the front wheels. If you decide to put snow tires just on the front, you run a high risk of fishtailing. If you're shopping for a high-quality used car to see you through the winter, head to NJ State Auto Auction. You'll find hundreds of Carfax-certified cars on the lot, and a helpful in-house financing department to assist you with loan approvals. You know that having a good credit score is important, but what do you do if your numbers aren't where you'd like them to be? Before you start worrying that your sub-par credit score will keep you from buying a car or spending money ever again, take a step back and brush up on these credit score facts. 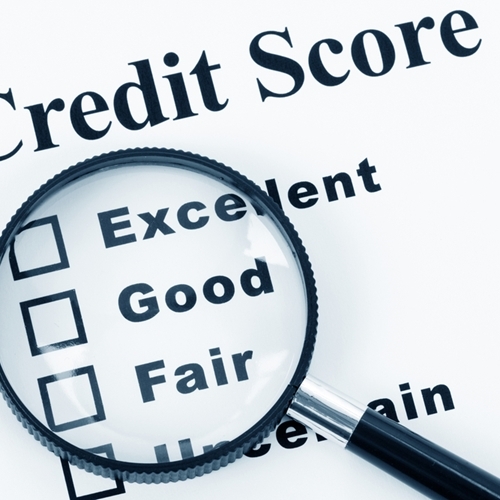 You may be pleasantly surprised to hear that a bad credit score today doesn't have to spell financial ruin tomorrow. In fact, if you have a poor credit score, you're in pretty good company. More than half of Americans – 56 percent – have a subprime credit score, defined as being below 640. This figure may seem startling, but take heart – if they can all own vehicles, you can too. The key to getting your credit score back on track is patience. Unfortunately, there's no trick or magic bullet that will give your rating a huge boost quickly, but if you maintain good spending and saving habits and are fastidious with your cash, you'll notice improvement over time. 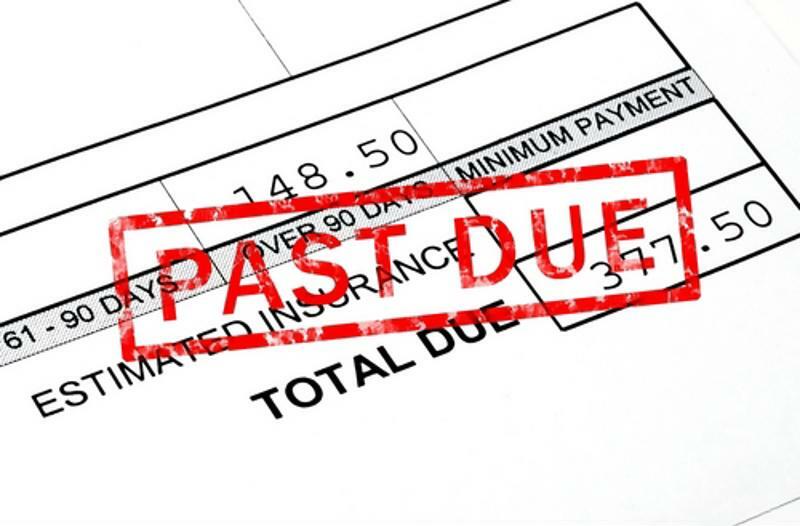 Simply paying your bills on time can't be overlooked. It seems small, but it's one of the things that has the most consistent impact on your credit score – and 25 percent of adults don't pay their bills when they should. Every strategy needs a plan of action, and when it comes to your credit score, the backbone of your efforts will be an effective budget. Surprisingly, 60 percent of Americans don't actively track their finances. It may seem stressful to constantly watch the numbers in your bank account drop as you spend, but knowing exactly where your money goes is crucial for creating a plan that is realistic and effective. You can help offset your low credit score by making a larger down payment. If you put down between 15 and 20 percent of the cost up front, it can significantly reduce your monthly payments. A low credit score doesn't have to keep you from buying a car.